Mr. Justice Amir Hani Muslim in his judgment has decided the issue regarding out of turn promotions of Punjab Police through judgments of Tribunals, High Courts and Supreme Court in Civil Misc. Application No. 687 of 2017 etc. 1. These matters emanate out of two reported judgments of this Court, i.e. Contempt Proceedings against Chief Secretary, Sindh (2013 SCMR 1752) and Ali Azhar Khan Baloch vs. Province of Sindh (2015 SCMR 456), whereby this Court declared that the concept of out of turn promotions was unconstitutional and against the Fundamental Rights enshrined in the Constitution. 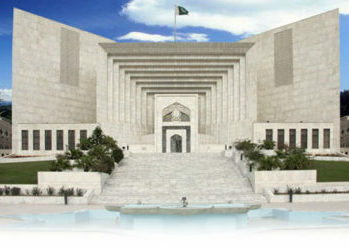 The copies of these judgments were ordered to be sent amongst others to the Chief Secretaries of all the Provinces and the Secretary, Establishment Division, Government of Pakistan who were directed to streamline the service structure in the line with the directives contained in these judgments. The aforesaid order was challenged through Civil Review Petition No.49 of 2016, etc. by police officers who claimed that they had earned their out of turn promotions on the basis of acts of bravery during their duty or otherwise. The said Review Petitions along-with other applications were dismissed, by the judgment dated 30.12.2016, reported as Shahid Pervaiz v. Ejaz Ahmed (2017 SCMR 206) (hereinafter the “Shahid Pervaiz case”). 3. On 20.03.2017, the Home Department, Govt. of Punjab, and the Inspector General of Police, Punjab (“IG”), submitted their separate reports. The IG issued notices to all the police officers and after providing them with an opportunity of a hearing, prepared a comprehensive and voluminous report which dealt with the case of each police officer separately. The Additional Secretary (Police) of the Home Department vide letter dated 16.03.2017 objected to the report of the IG only to the extent that a few of the out of turn promotion cases were “judicially protected”. It appears that these officers were granted out of turn promotion by judicial fora. The learned Advocate General, Punjab supports this letter of the Home Department, and both he and the counsel representing these officers contend that such promotions were also specifically saved by paragraphs 111 and 143 of the judgment in Shahid Pervaiz case. 5. The Advocate General Punjab (“the AG”) states that there was a conflict between the opinion of the Home Department and that of the Inspector General of Police on the point, whether the out of turn promotions given to some of the police officers were protected by the afore-quoted paragraphs of the judgment in the Shahid Pervaiz case. Further information regarding out of turn promotions of Punjab Police through judgments of Tribunals, High Courts and Supreme Court can be solicited from AUJ LAWYERS. Feel free to contact us in case you need any clarification and/or require legal assistance regarding similar matters. This entry was posted in Case Laws, Constitutional Law, Criminal Law, Employment & Incentives, Knowledge - Constitutional Law, Knowledge - Criminal Law, Litigation & Arbitration, Promotion, Public & Admin Law, Res Judicata, Selection Process, Solutions - Constitutional Law, Solutions - Criminal Law, Supreme Court. Bookmark the permalink.